Don't see this movie unless you've seen the rest of them and feel obligated, or you really want to torture yourself for an hour and a half (and not the good kind of torture). I'm starting with this because I may reference something interesting in the film that you'd want to check out. For your sake, don't do it. Seriously. Don't you dare. Cult of Chucky AKA Child's Play 7 AKA Adult's Play 2 (or 3?) is one of the most unorganized, hard to follow movies I've ever watched. I love horror movies. Like, for reals. Unfortunately, the Chucky movies haven't truly been horror movies for quite some time now. Curse of Chucky made an attempt to get back to the actual frightening bits formerly known to the franchise. It was OK. 'OK' horror movies may as well not exist. For starters, the production value may be at the franchise's very worst. It didn't have a theatrical release, so I get it, but I think Instagram videos have better quality these days. The score is bad and sometimes just doesn't fit at all. I didn't expect a Christopher Young-caliber score (heh), but the music shouldn't make the movie cheesier. And, it appears they are now using a weird knock-off Good Guy doll, which is crazy because the doll is fictional and solely created for this film series. Look at the first movie compared to now. Where Curse of Chucky succeeded, Cult of Chucky failed miserably. 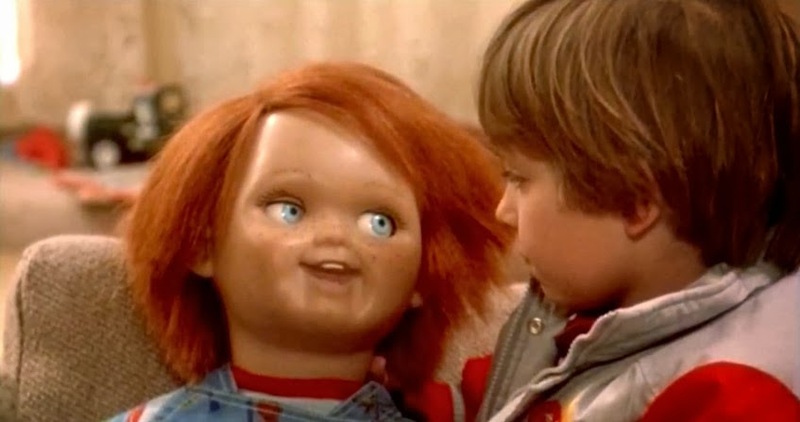 Curse had a very clear plot that actually explained a lot about how Charles Lee Ray (Brad Dourif) ended up in a doll to begin with. Fiona Dourif (notice anything?) stars as Nica in both, but her character may be the least likable protagonist of all time. I was rooting for Chucky as soon as I saw her face. The movie isn't a complete pooper, though. 99% pooper, for sure, but there was one scene that stood out to me for it's originality. There's a kill by our toy villain that involves a compressed air tank and a large, glass skylight that actually got an audible "whoa" out of me. But, really, dassit. Cult of Chucky is the worst of the franchise. Bringing our original hero(es) back for cameos is cool and all, but it can't fix anything that is wrong with this one. This is a movie that contains sexual relations between a paraplegic and a delusional schizophrenic in a mental facility moments after they meet. Who needs character development?